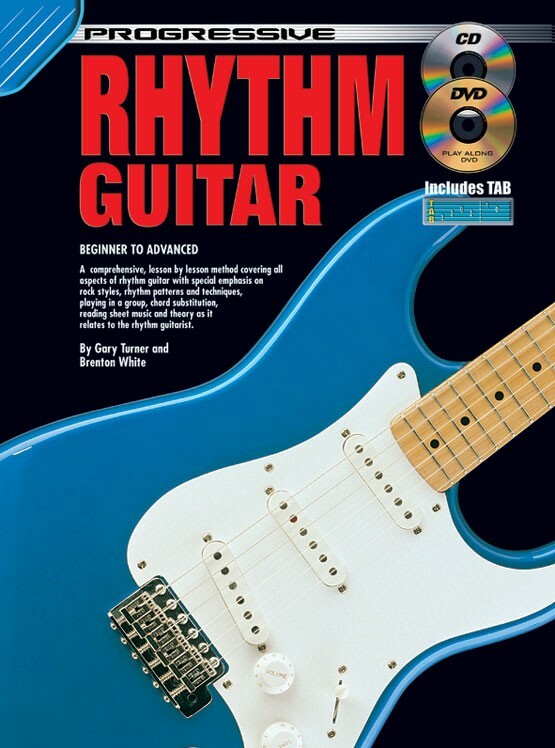 A comprehensive, lesson by lesson method covering all aspects of rhythm guitar with special emphasis on rock styles, rhythm patterns and techniques, playing in a group, chord substitution, reading sheet music and theory as it relates to the rhythm guitarist. I can't say enough positive things about this book/cd set. It introduces rhythm patterns and counts in an easily understandable format. 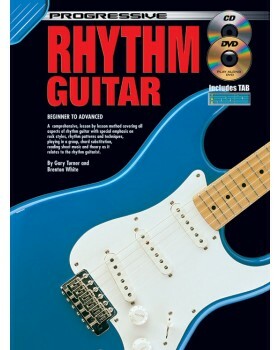 It teaches styles applicable to all forms of guitar, including the common rhythms of jazz, country, ragae, and rock. The CD has helped my ability to follow complex rhythm and pick patters immensely. The CD is very user friendly. The book explains as much theory as you need in order to understand what you are doing, but no more, which I really appreciated. Too many of the music books I have used previously either ignore theory totally or bog you down with it. For children, I would expect a 9 or 10 year old to be able to use this program well, so long as they know the basic chords and are able to make basic changes.